This is the time of year when homeowners are wheeling out their lawn mowers, hoping they'll start. Sometimes they do but quite often they don't. Consumers who aren't mechanically inclined are generally pretty helpless when problems occur. Sometimes even experienced shadetree mechanics will also be unable to pinpoint the problem. Now you might say this isn't too surprising. After all, it was a long cold winter and mowers that are put away for the winter without proper preparation may be slow to start the next spring. But if we understand Gilbert's situation, his mower is new. That's also the case with other consumers we've heard from recently, including Kevin of Vacaville, Calif., who at last word was still trying to get his new mower started. "I've used the brand new mower twice, then it wouldn't start. Damaged my shoulder from trying to get the mower started. I'll NEVER buy another Briggs & Stratton," said Kevin. 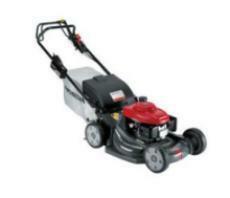 Lisa of Dallas had a similar problem: "I purchased Briggs mower. Only now the thing will not start brand new. l followed the directions, filled it with gas, oil. ... Brand new products as should not have difficulties out the door like this. I now have to somehow empty the gas and return this junk. Not happy." It's not just a springtime problem, unfortunately. "The B&S motor on my Ariens snow blower just will not start. 19 inches of snow and this motor just completely fails," said Richard of LaGrange, Ill., as he faced knee-deep snow in February. "New spark plug, fresh gasoline, starting fluid, etc and nothing works. ... I will NEVER buy another B&S motor on any device - actually I didn't buy this one, my wife did when I was out of town... It was the last one in the store and now I know why." Richard did solve the problem, at least temporarily. "I had to borrow my neighbor's Honda, which started on the first pull," he said. Meanwhile, up in Merlin, Ontario, Janet was anything but chill about her B&S-powered 7,000-kilowatt generator. "In the 7 years I have had this, it has required repair calls 3-4 times a year," she said. "We got this for comfort when we have a vacation in the winter, as our water line is heated so we need the generator to keep it on if the hydro goes out. You cannot depend upon it and now we have to replace it at our own cost unless Briggs and Stratton does something for us." In fairness, small gas engines are notorious for being troublesome and other brands may have similar problems. But before making a major investment, consumers should examine the reviews in our Home & Garden section and reviews on other sites to get an overview of which brands are more responsive when problems occur. Are you ready for an electric lawn mower?